My fiancé is a podiatrist and has his own clinic, I just recently have started helping him with his accounts because it was a mess. He has over 400,000 dollars in aging and has 468 claims still yet to be sent out. I don't know how to help him and it seems as if every billing company or biller he has used, has made situations worse. Any advice, help guidance will be greatly appreciated! Unfortunately what you describe is pretty common in billing. A lot of people wanting to start a billing service will offer to work on these accounts not knowing what they are getting into. Or they may take on the aging hoping to earn the providers business for all their billing. Once they get into it they realize it's going to be a much bigger project than they initially thought with little chance of being paid - and they lose interest. I've worked on many small providers aging accounts like you've described - after others have worked on it. It's not a pleasant process and can end up being very frustrating for all involved. The provider because they don't always understand all the obstacles to getting these old claims paid - and the biller because they put in so much effort and can't get many claims paid. Most of the work is calling the insurance company, figuring out why the claim was denied, correcting the claim, and resubmitting. I always work from an insurance aging report that most practice management software already has. You may be able to hire this time consuming phone work out to an admin type person and just kind of oversee their work - train them and give some direction. That's what I've done in the past. Of course most smaller practices don't have the resources follow up on these aging accounts and the longer they go unattended, the less likely it is they will be paid. Many insurance companies have timely filing limits - some as little as 90 days. To be honest many billing services don't like to deal with these aging accounts because it's so much work and if they are getting paid a percentage they have to charge such a high percentage to make it worth their time investment. 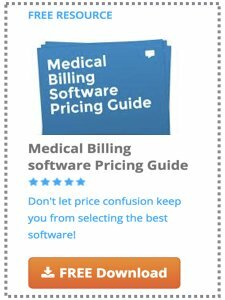 If you don't want to deal with it yourself, I suggest finding a local reputable billing service. They may charge a little more but it will be well worth it. I suggest asking around to other providers - or ask for references for any you talk to. Of course you guys may have already been through this and don't want to get started with another billing service. Depending on how old it is there's probably a good chance there's still a lot that can be recovered. And a lot of it is probably patient responsible (deductibles, co-pays, coinsurance, secondary claims, etc.) that wasn't collected up front or can't be billed until the primary insurance is paid. I would also suggest meeting with the billing service (or biller) on a regular basis to see how they are doing, see if they need anything from the provider to get claims paid, and just basically hold them accountable. Thanks for visiting our site - hope this helps and I sympathize with your situation. I am willing to help for FREE for 60 days. And if you see progression in my work ethics and I'm sure you will then we can discuss this a little bit further. I do have recommendation letters as well. My email is [email protected] I've been doing this for 16 years. is different,I am dedicated to providing 100% satisfaction guaranteed. I am professional and dedicated to this field.